Watch This Video about UV Cured - You Will LOVE This! I highly recommend the Mark and the tea from Brisbane Timber floors – reliable and prompt service, quality trades people with great skill and knowledge. 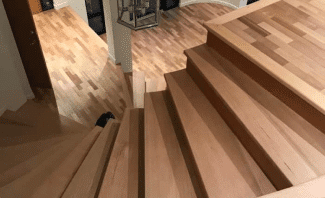 They have a passion for their trade and timber houses and they quickly made us feel comfortable in our choice and delivered an excellent finish to our floors. I am extremely happy with the work done by Mark and his staff. I had to reschedule the polishing of my kitchen floor and this was easily arranged to suit my installation schedule. He arrived when he said he would, provided me with excellent advice, and went about sanding and polishing a complicated layout very professionally. I don’t often write reviews but the quality of this work well and truly warrants a review. Mark has a small experienced team so you know who you are getting to do the job. They are well equipped with the right sanding and finishing equipment so surface preparation was excellent. I was prepared to pay a little extra for the confidence of having a job well done. My 70 year old crows ash floor looks great once again. I am extremely happy with the work completed by Mark and his team. I was so happy to find a professional response when I called Brisbane Timber Floors with my urgent request. Thanks so much! I put an inquiry on their website on a weekend and had an email response within a couple of hours. They were able to give me a quote from my house plans and photo of timber flooring to be repaired. They provided prompt service and arrived at the pre arranged time for the job. 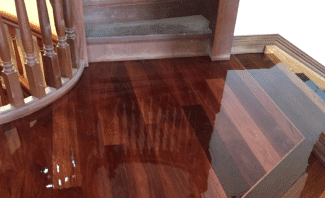 They have done a professional job on the floor repair, sanding and polishing. I would totally recommend them as polite, professional tradesmen. Our floors glow! Mark sanded and varnished our Hoop pine floors to a new level of beauty, including bringing back to life two rooms that had been carpeted and lino-ed by previous owners. He knows and cares about timber and spent extra time to make the job perfect. 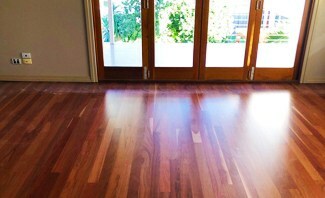 Mark moved to West End & now focuses on floor sanding Brisbane. He’s a perfectionist that drills into his team to always do the job right, every time. While everyone else is focused on cheaper, Floor is focused on better. This delivers better results every time. Call Mark now on 0438 777 561 to arrange your floor quote today. To learn more about the Floor process visit our Floor Sanding page. Floor has a Google rating of 5.0/5 based on 9 reviews.